I studied sociology eons ago from the standard secular curriculum: Fundamentalists (no, not those), Marxists, Interactionists, Feminists yadda yadda yadda. 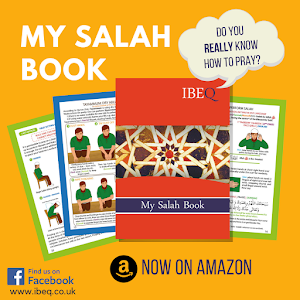 As a Muslim, I was also given the Muslim viewpoint on the Islamic sociological system. This included power distribution, the zakat tax system, family law, education, divorce in Islam and patriarchy - yes, Islam is patriarchal but that discussion's for another day. In our Muslim culture of reaching the "ideal" Islamic character our civilities towards one another are still developing. 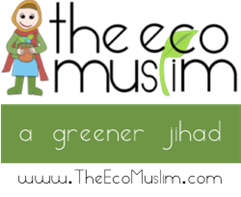 The Prophet Muhammad ﷺ was sent with a goal to perfect human behaviour (Khuluq) as in his day to day living, he embodied the Ideal Muslim. Playing fair, equality and good conduct isn't only a 'Muslim' goal, it's a human moral code. We are brought up to be kind, to debate well, to be considerate of others and to be respectful even when we disagree. However, our contemporaries in the media have warped our minds so much that most of our daily entertainment is getting a kick out of watching someone else fail, ruining them, mocking or exposing them. That's plain arrogance. That's plain wrong. 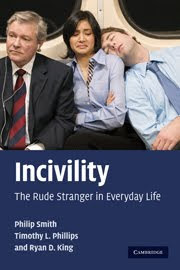 The Cambridge University Press (I'm a fan) recently published the book Incivility: The Rude Stranger in Everyday Life, as a case study of what defines rude behaviour and how at times, we all interact with another person insensitively without realising it. "How much of a menace are rude people in public places? For the first time, this book gives us the data to find out. The biggest problem is not when nice middle class people venture into bad neighbourhoods. Rudeness happens mainly in ordinary crowds where the foot traffic is heaviest, and it is middle class men pushing obliviously through that are the main culprits." The book on my wish list.